We are excited to welcome author Kurt Hoelting as one of our keynote speakers during the NWEI North American Gathering this September! He’ll be leading conference attendees through a workshop and address on Friday evening, September 16th at Fort Worden State Park in Port Townsend, WA. 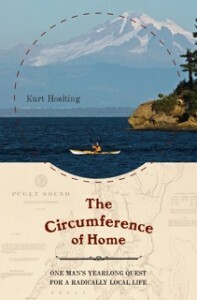 Kurt is the author of Circumference of Home, an inspiring book about one man’s quest for a radically local life. I grew up by the shores of Puget Sound, dreaming of salmon. All my childhood summers were spent on Liberty Bay, in a cabin near Poulsbo. It’s where my strongest memories were wrought. Winters were passed somewhere in the confusion of the city. But with school’s ending each spring, we made a bee line for the cabin, and life began again. From earliest memory the waters of the Sound pulled me to them as inexorably as the tide. My own life is divided between two worlds, one to the north, one to the south, one of plenty, one of want. I am framed by the contrasts, unsettled by the collision of opposites. For years I have taken for granted the necessity of traveling long distances away from home to find what was once the heart and soul of my own region. I have become intimate with the waters of Bristol Bay and Southeast Alaska, while remaining a stranger to Puget Sound itself, even though more of my time is spent here than in Alaska. With the eclipse of the salmon in the Sound, the region slides toward economic irrelevance. Never mind that Microsoft is busy producing millionaires, and Boeing is filling the earth’s skies with ever larger jets. The salmon is gone, and with it goes the biological and cultural context that has held the region together since the retreat of the last ice sheet. The cultural historian Thomas Berry has observed that our sense of the divine is linked inextricably to the diversity and splendor of the natural world. Nature provides the raw materials, the primordial soil out of which all imagination grows. As the exterior world shinks and decays, so goes the seed stock of natural inspiration. Perhaps it is our capacity for wonder that is the final victim of an unbridled devotion to progress. What does it mean to our collective imagination to gaze out on waters emptied of wild salmon? What does it mean to have scattered the cloud of witnesses – bear, wolf, orca, eagle, seal – who gathered so faithfully each year through the centuries to celebrate the salmon’s return? To my mind, nothing can ever replace salmon in the cultural imagination of the Pacific Northwest. The poet Gary Snyder is on the right track. He has suggested that we prepare a Ten-Thousand Year Plan for the Management of our National Forests. I propose a Ten-Thousand Year Plan for the restoration of wild salmon runs in Puget Sound. It’s a reasonable proposal, precisely because it offers a time frame that wild salmon understand. I’ll believe we have a chance when such a plan is proposed not by poets and philosophers, but by engineers and politicians. We will have reason for hope when, as a people, we understand that our endowment of the future extends far beyond the pittance of time that is granted ourselves and our immediate offspring. That endowment must include wild salmon, if we want it also to include children who dream. Just in case you missed our big announcement, yesterday we launched EcoChallenge 2011. The EcoChallenge will change your life. No, really! it will! My first EcoChallenge was to take on the hyperlocavore 100 mile diet, and since then I’ve thought about food, food transportation and the import/export systems nearly every time I grocery shop. Last year I took on a no-plastics challenge, and attempted to live plastic free for the 2 weeks of the EcoChallenge. Note that I said “attempted”. Lesson learned: plastic is everywhere. Since then, I’ve continued to eliminate as much single use plastic from my life and don’t think I’ll ever consider packaging and single-use items in the same light again. This October we hope you will take on your own personal EcoChallenge and maybe you too will change for good. We’re seeking participants who are interested in being EcoChallenge Bloggers. The EcoChallenge always leads to great stories, fun anecdotes, and shared learning, and we want you to help us tell the fun, compelling, thought-provoking stories of making a positive impact through sustainable change. The EcoChallenge runs from October 1-15, and we’d love to find a few folks who will commit to blogging at least 2-3 times each week. In exchange for your words, wisdom and tales of challenges and success, we will feature you here on our blog, on the EcoChallenge website, and in our social media posts during the EcoChallenge. If you’re interested in blogging your adventures in changing for good email me at kerry at nwei dot org. If you’re already blogging elsewhere on the web, send me a link to your blog too. If you’re up for the Challenge, we look forward to hearing from you! EcoChallenge 2011: Change begins with you! EcoChallenge 2011 is your opportunity to change your life for good. Whether the EcoChallenge is your first step toward a lower impact lifestyle, or you’ve been around the environmental block many times, we invite you to Challenge yourself this October 1 – 15. Register today, and join a growing community of people who are taking action on behalf of the planet! Participating is simple, you choose your EcoChallenge category (water, energy, food, transportation, trash or choose-your-own) and your EcoChallenge Actions, and get ready to take on your Challenge for 15 days in October. Your EcoChallenge successes are both good for you and good for the planet. To provide a little extra inspiration (and thank you for a job well done), we’ll be raffling off prizes throughout the two week event. Find out more about the EcoChallenge and get registered at www.ecochallenge.org. We look forward to taking on the 2011 EcoChallenge with you! I’ve heard this all my life, but never paid that much attention to it. This saying always brought to mind cartoon images of human-sized bananas with arms and legs, or smiling, anthropomorphized versions of broccoli and tuna fish. What it really means that we are what we eat only sunk in recently, maybe even within the last year. Most elementary school children can tell you that in order to get a seed to grow into a plant, you need to expose it to water and light. 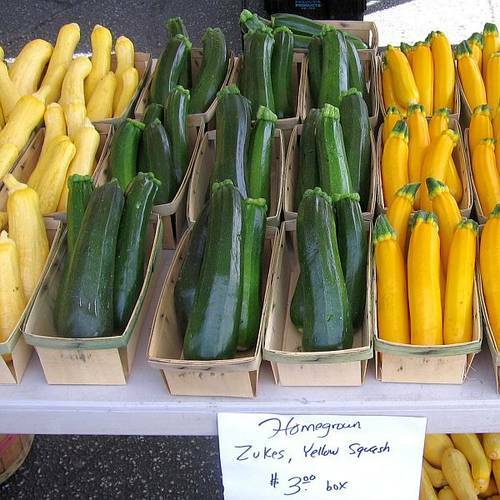 These are v ital to its survival, growth, and eventual development into a food source. But the plant also needs to be nourished by minerals and nutrients in the soil. 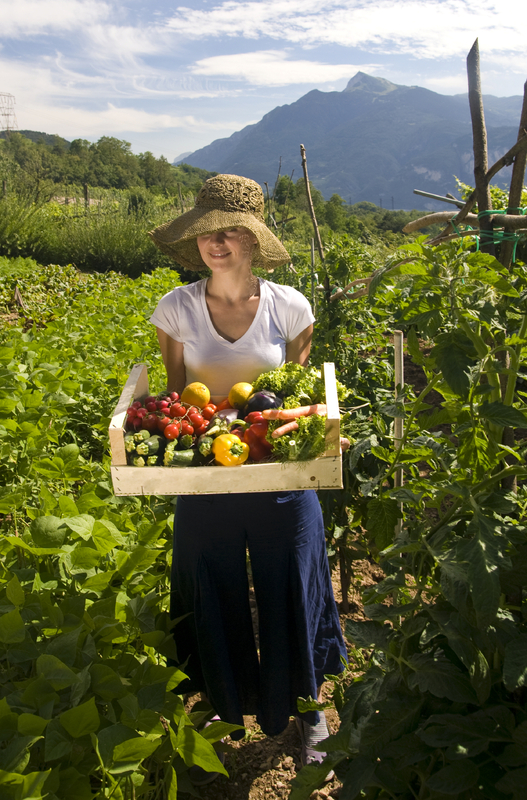 If the soil a seed is planted in is nutrient-poor, the seed will require inputs (fertilizers) to grow. Organic gardeners and permaculturists tell us to feed the soil and invest in a long-term way to feed the world, instead of feeding a plant with artificial fertilizers that run off into our waterways and cause imbalances in ecosystems. When we harvest the fruit of the plant’s hard work and then eat it, our bodies break down the cells of the plant and harvest the nutrients it’s accumulated. These nutrients not only feed our bodies the calories we need to work and play – they are the building blocks of our skin, our eyes, our brains. Our food choices affect our weight, our abilities, our strength and endurance, the diseases we face, and even the intelligence capacity of our children. We create ourselves by what we choose to feed ourselves. And, as you can see, not only are we what we eat, we are also what our soil eats. On the other hand, you could say that we create the world by what we choose to eat. Our food choices affect ecosystem health, how harvesters and factory workers are treated, the health of farm workers, which foods are grown and sold, how humanely animals are treated, and even how much carbon dioxide and methane are released into the atmosphere. I’ve been spending a lot of time thinking about food lately, as we’re working on a new course that addresses the connections and implications outlined above. This course (as of yet unnamed!) challenges us to look at our roles as not just consumers of food, but also as creators – of food, of systems, and of the world we want to live in. For those of you who loved Menu for the Future, this course offers an opportunity to dig deeper into the complex issues surrounding food. The new course will also be six sessions, with sessions exploring food systems – from how agriculture contributes to climate change and how climate change affects global food supply, to food justice and food politics issues, to the health of our bodies and the health of ecosystems. The course will draw upon podcasts and video clips as well as our usual articles and suggested resources in order to nourish inspiration and discussion. The new course will also include action plans to help inspire action around — and long-term investment in — creating the world by what we choose to eat. Our curriculum team is working hard to design the course as I write – and we look forward to updating you with continued information as we progress! Please plan on digging deep this fall with NWEI’s newest guide – taking us all one step closer to creating the world we wish to see. Recently, A University of Washington professor brought Menu for the Future into her classroom, tasking students with meeting in small groups outside of class to delve into the complex world of sustainable food choices. Here is what a few of them had to say in response to NWEI’s discussion course process. I learned in my ethics class about values, and they seem to be categorized by either human centered (and usually self-centered at that), biological (all living things), or eco-centric (all living things plus the air, water, and atmosphere). Personally, I look at every living thing, as well as water and air as having intrinsic value – born within. And we now have a good understanding of how anthropogenic (human action) disturbances affect all of these things. Therefore, we have an obligation to respond with better than sustainable choices and actions (because sustainable by today’s standards is not really sustainable). “The information I learned from the readings has inspired me, and that inspiration has spilled onto my friends and family. After learning about the environmental, health, and social implications of CAFO’s, I told my parents… Since then, they have found a grass fed free range beef supplier. I also gained a new perspective on food. Food had become something I would hurry up to finish as I’m running out the door… In the first reading, there was an article that spoke of the dinner table as an outlet for personal expression and a time to bond with family. The article took me back to my childhood: mom, dad and I sitting around the table talking and laughing. Them showing love and care for their child, and me growing and learning how to express myself and learn rules of society. Can you pass the potatoes? Yes, of course! Dinner time was a time to bond, slow down and reflect upon our lives… This article opened my eyes to what food has turned into for me, and I have since made changes. I’ve made myself wake up 20 minutes early, to ensure that I have enough time to enjoy my breakfast. I take my one day off and dedicate at least half of it to preparing salads and healthy foods to eat throughout the week. The most special one, and the one my roommates love the most, is the Tuesday evening dinner that I’ve implemented…There has been more of a sense of love and warmth in our house since then.